Yesterday, October 24, IE Women in Business Club organized their third Dinner series this year, themed Women in Luxury and Retail. 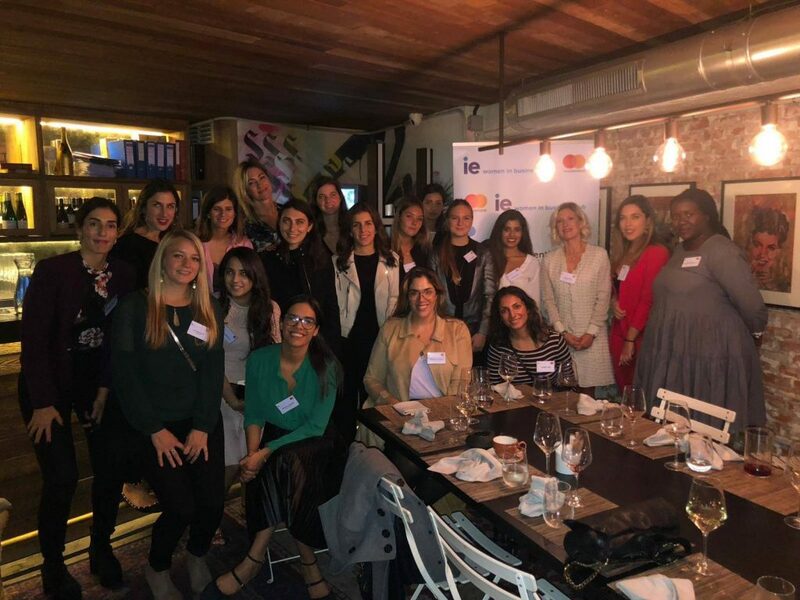 Thank you to all IE Students who attended the event, to MasterCard for sponsoring, as well as IE Women in Business Club Coordinators for hosting it and inviting our guest speakers: Marina Oliveira, Amazon; Alessandra Chichi, HBO Europe; Marisa Velasco, Las Rozas Village and Veronica Baez Marquez, LVMH, Designersrooms. Jennifer Serrat has started her professional career at IE in August as the Associate Director of Student Affairs of Campus Life after receiving her Master in International Relations from the IE School of Global and Public Affairs. Her background includes education, customer relations, and research. She is French, Canadian and American.